Are there times in your busy life that you stop and recall what your life was ten years ago? Did you ever tell yourself, “I’m glad I did what I did because if not, I wouldn’t be the person I am today.” My answers to both questions are: YES. That’s why, I’m writing this post today. I admit and I am not ashamed to say that I wasn’t a goody and tamed kind of girl. I could pass the kind of a lady that a mom of a boyfriend wouldn’t approve of for her son. Young. Wild. Free. That’s how I lived my life back then. But don’t get me wrong, even when I was #YOLO-ing, I was careful, I had contingency plans should I break and fall, and I had the courage to take full responsibility of my actions. I found hope for myself each time I looked at my child’s big round eyes. The fighter in me rose above everything else and convinced me to overcome my insecurities and fear, to clearly focus on what I deserve, to continue dreaming and to aspire for a quality of life that I want for myself and my son. I looked for a job after he turned one year old. I said to my ex, that I had enough. I gathered the courage to get out of the marriage that was nearly rotting me and probably my son’s future. I slowly got my life back together and started to commune with my new self again. I treated myself better. I became a better parent to my son. I performed well in my job. The road to moving forward had its hits and misses. I turned to God while going through all these. I searched for Him and finally found him when I served in our church as a choir member. During this time God gave me a good friend who at that time also had troubles with the matters of heart. But while he was going through his own relationship battles a hundred fingers were pointed at me for being the culprit of his failed relationship, so I decided to disappear. I reconciled with my ex-husband, but unfortunately, it didn’t work again. A year later, I crossed paths with this good friend at the time when we were both free. We never separated since then. Looking back if I just took in what little was given to me, then, I didn’t love enough and give value to myself. I would still be miserably living a life I didn’t want - A life that our society (spell relatives) expects a married woman to live. If I focused on those judgmental remarks, comments, rumors, and harsh opinions of people about my life, I would have not been happily in love now. My life wouldn’t be as complete and perfectly imperfect right now. If I put a limit to myself and wasn’t courageous enough to improve and invest on myself (work, education, talents and skills), then I wouldn’t be contributing to the good performance of my work team, I wouldn’t be able to support my parents, I wouldn’t be sending my sons to good schools and you wouldn’t be reading this post today. LIFE is what you make of it. It is clearly up to you to deteriorate or invigorate it. We all have our ups and downs. People will never stop having opinions and judgment about you, dismiss them. It’s your life. You don’t owe anybody any explanation. Eliminate people that drag you down. Keep those who sincerely support and help you become a better person. Never think that you cannot accomplish something, just continue dreaming. Don’t focus on bitterness and hatred towards people who judged you, forgive them. Your past do not determine what your future will be. Work everyday on becoming a better version of yourself at present. Don't let people who doubt and judge you limit you from creating a brighter future. 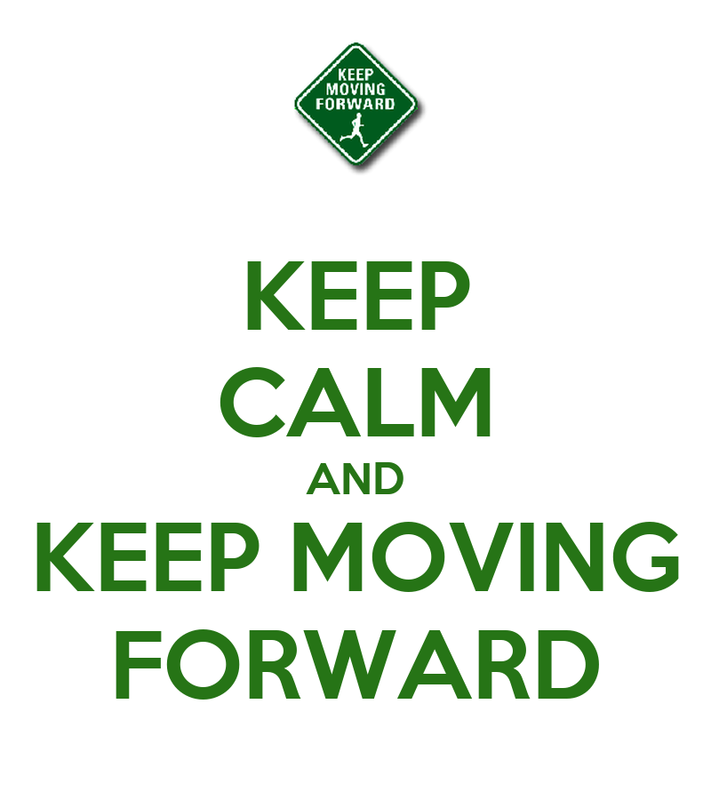 Keep on moving forward my friend. Yes, I did have a badly stained past - I almost died. My first marriage was a failure. I became a single mom. I was broke (spell no money at all). People harshly judged me even if they don't know me personally and what I've been through. But my failure and other challenging life experiences motivated me to become STRONGER, BETTER, WISER, HUMBLE, and FORGIVING. I didn't give up on myself. I didn't lose hope. I didn't let depression take over me. I prayed hard to God to help me get through each day while I was fixing my life. He has given me so much, more than what I prayed for. Sometimes I think I am not worthy. So now that I am WHO I have become TODAY because I made my YESTERDAY motivate me to create my better FUTURE, I give it all back to HIM. I am thankful for this blog for it has become a channel for me to reach out to people who may have gone through, or still is going through, what I've been through. I pray, if you're reading this and is currently in a difficult life circumstance, whatever it may be, DO NOT LOSE HOPE. May my life story inspire you to pick up the broken pieces, put them all together and fix them. Don't give your past the power to rule over your life and how you live it. Let it go. Forgive yourself. Pray. LIVE! Goosebumps! That was a wonderful post! Honest but full of hope. Props to you for choosing to focus on moving forward. God bless! I can't believe on what I have read mommy Louise,, you are such an inspiration..Thank you for this post. You have become more than what you wanted to be. You've been an inspiration to a lot of women out there already. God bless! future. Our future is not defined by our past.Thanks for sharing. I agree, your past should not define your future. I, too, had a troubled past. In fact it's published online - here, when you find time -- http://www.philstar.com/sunday-life/12204/moment-february-1998. And just like you, it was turning to God that I have learned how to rise above. Thank you for sharing your story. :) hugs. Thanks for sharing your life and how you found hope again in God. It is because of women like you that others can have the strength to go on. God bless you!